Do you wish to come in different date, contact us here and we will be happy to set it for you. You will get english speaking flyfishing guide and driver, he competes on slovak fly fishing competitions and also goes to other european competitions. He is the local living in the Poprad area at the Tatra mountain, knows the rivers perfectly. He will advice the flies and will show you best spots. 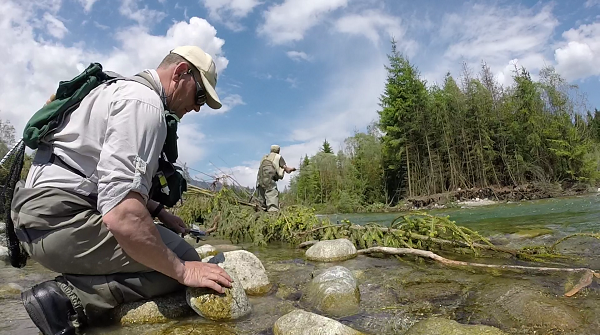 Places where you will be taken for fly fishing are: river Dunajec, Poprad, Hornád. At the time you will come, the season is opened for brown trout, rainbow trout and for grayling.